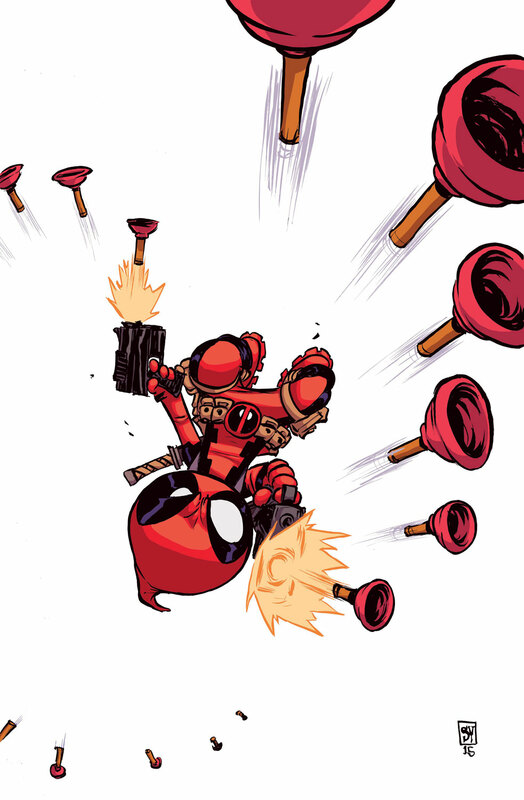 Pullbox Previews: Deadpool #7 – Happy 25th Birthday Wade! 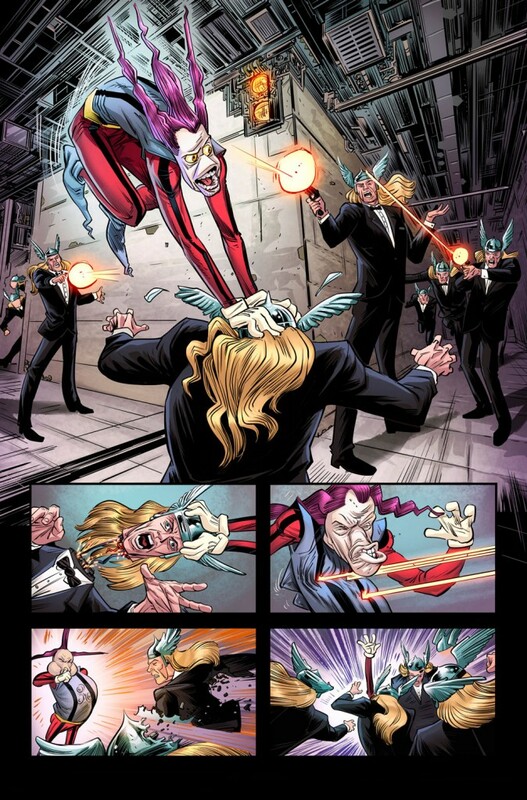 And lo’ there came a day unlike any other, in February of 1991, when merc and mouth united for a common goal. 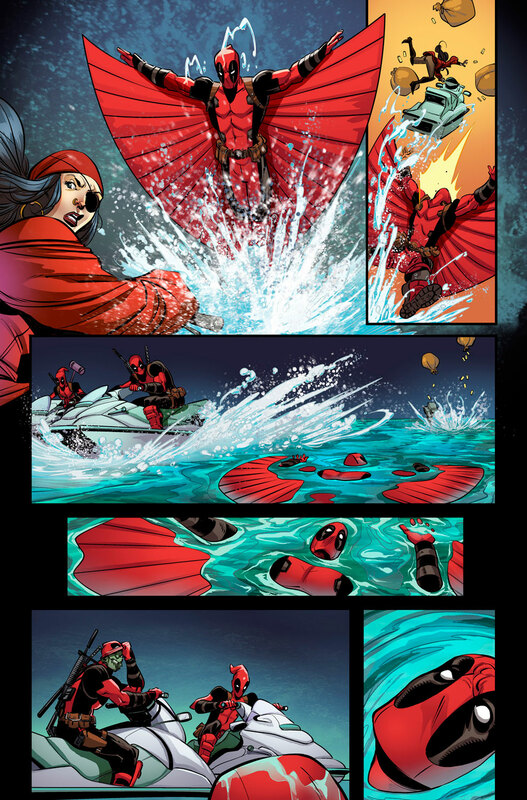 And on that day, Deadpool was born! 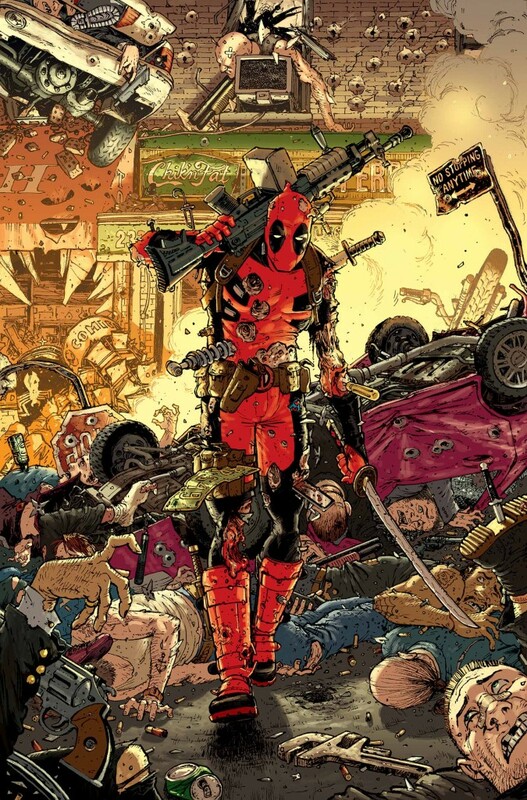 Now, a mere quarter of a century later, we’re celebrating Deadpool’s 25th Anniversary this February in the colossal sized DEADPOOL #7! 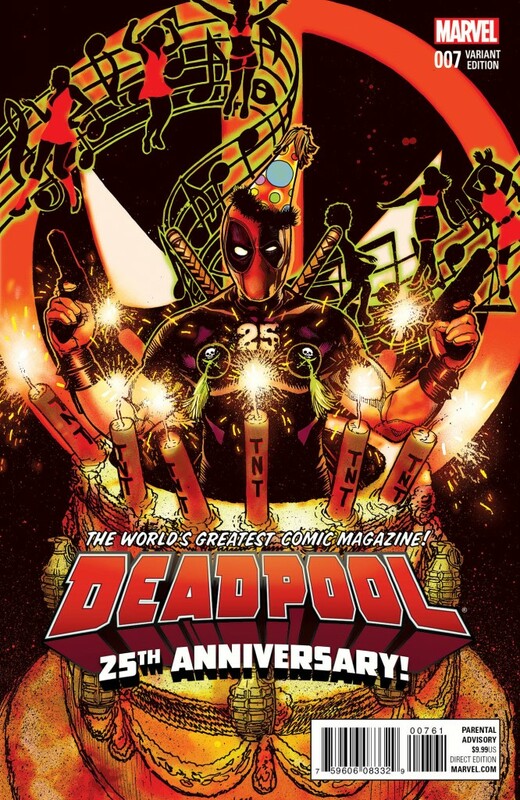 That’s right – that same regenerating degenerate who tore through the New Mutants and into your very hearts is turning 25, and he wants to party with you! 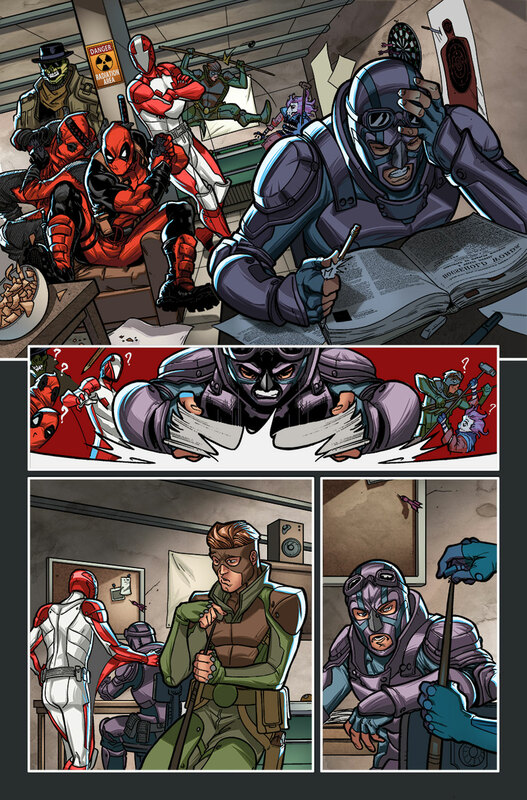 Featuring a massive 80 story pages and an all-star creator lineup, Wade’s silver anniversary is sure to be a night to remember. 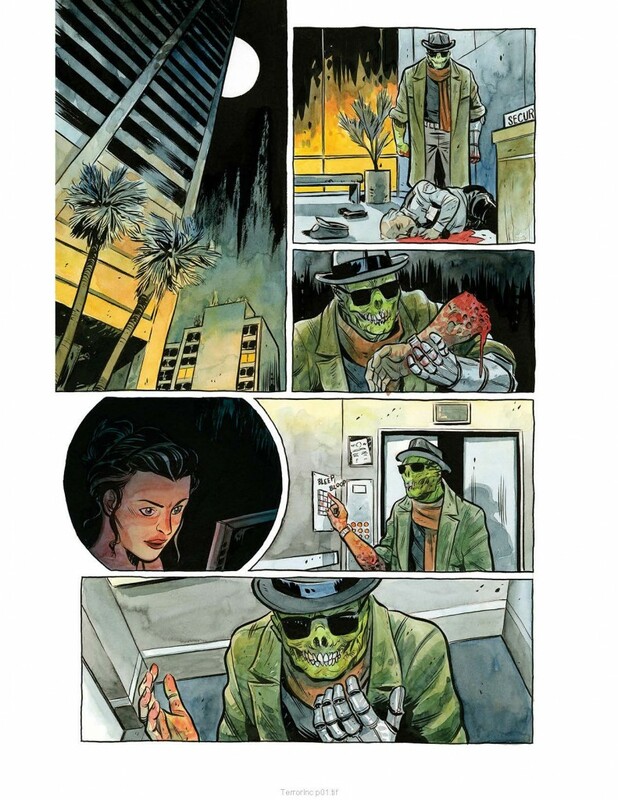 First, Gerry Duggan and Scott Koblish bring you a full length Merc With a Mouth adventure. 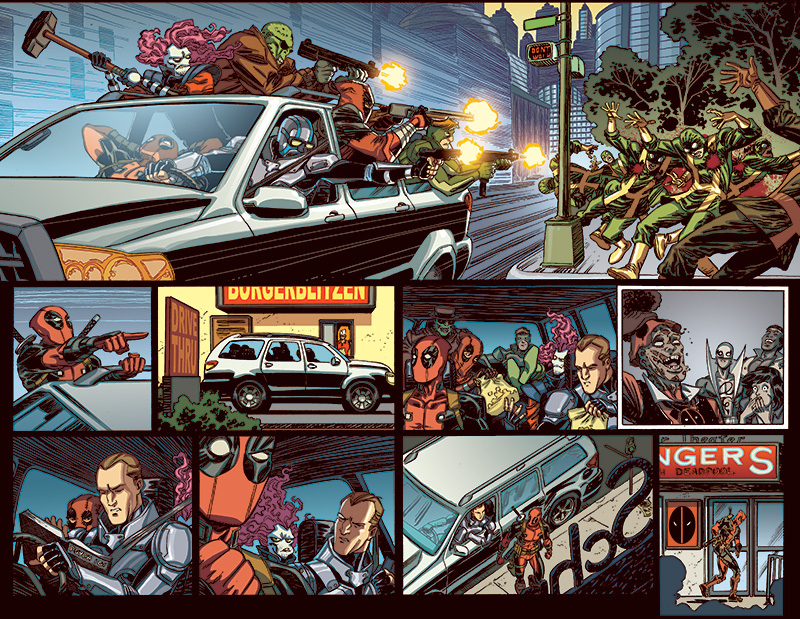 Then, Deadpool creators past and present regale you with tales of Wade’s newest allies – the Mercs for Money! 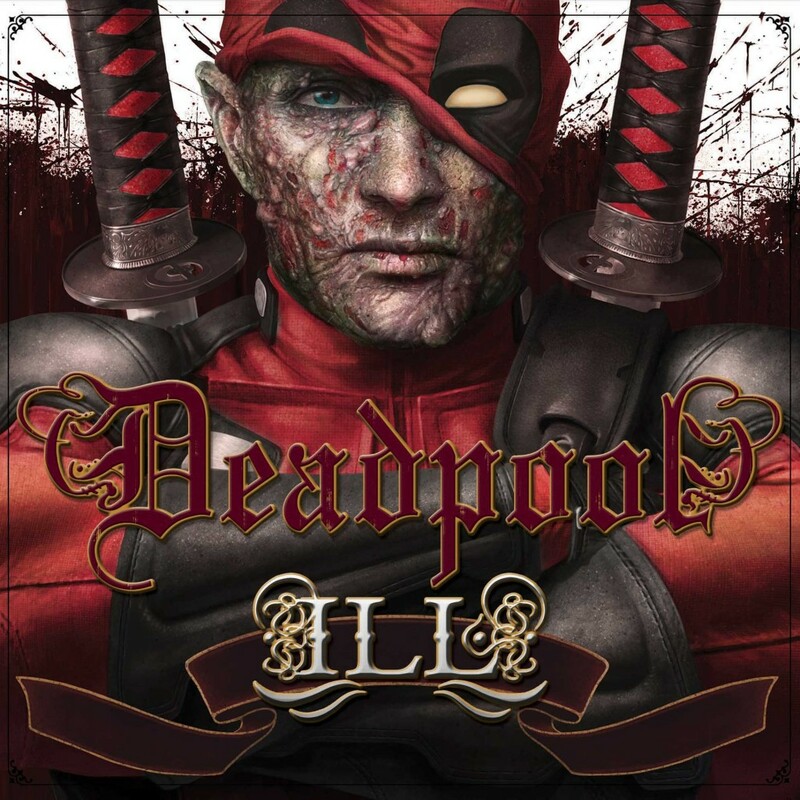 Get ready for more Terror, Foolkiller, Slapstick, Massacre, Stingray and Solo and shine a spotlight on Deadpool’s newest employees. 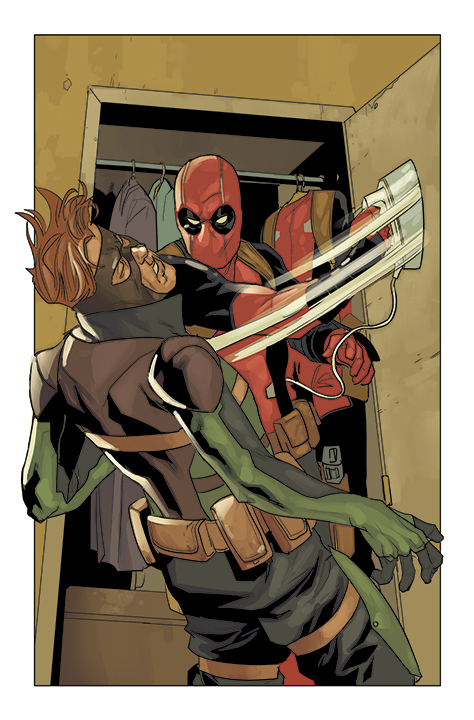 So put on your party hats and cut the cake and don’t miss DEADPOOL #7 on sale this February!